These Tumbled Stone Coaster gift box set makes a unique and stylish statement. 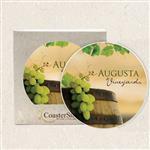 They are great for a wide variety promotional purposes such as corporate events, banquets, wedding favors, restaurants, hotels and even executive gifts. Made of heavy-weight 4" x 4" solid Italian Botticino Marble (white/ivory), the have a smooth marbled finish with tumbled edges. 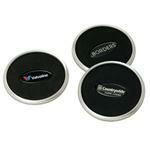 The your customized full-color logo or design is printed directly onto the stones for a durable imprint. 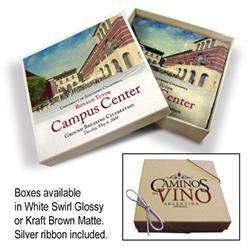 There is also a cork-backed to protect furniture and it is Gift-Boxed in your choice of White Swirl Glossy or Brown Kraft Matte custom printed box. Production Times Available: 6 working days standard. 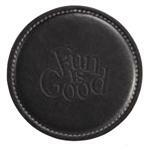 Dimensions: 4" x 4" x 1"
Typical Imprint Area(s): 4" x 4"
Available Imprint Options: Full Color. choice of eitherWhite Swirl Glossy or Brown Kraft Matte custom printed box (please specify white or kraft box on your PO to avoid unnecessary delays).